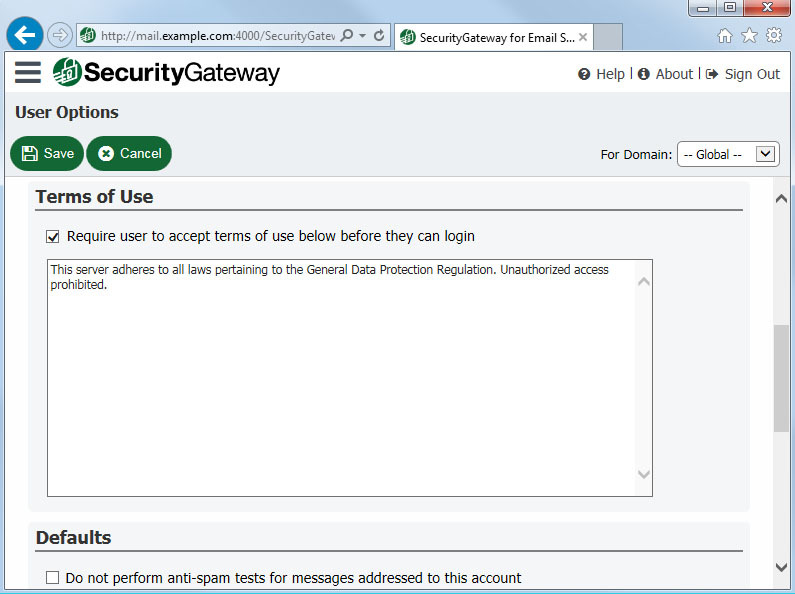 Like all SecurityGateway releases, the developers at MDaemon Technologies continue to add new customer requested features and enhancements. Here is a quick overview of just some of the features end users and IT administrators will find helpful. 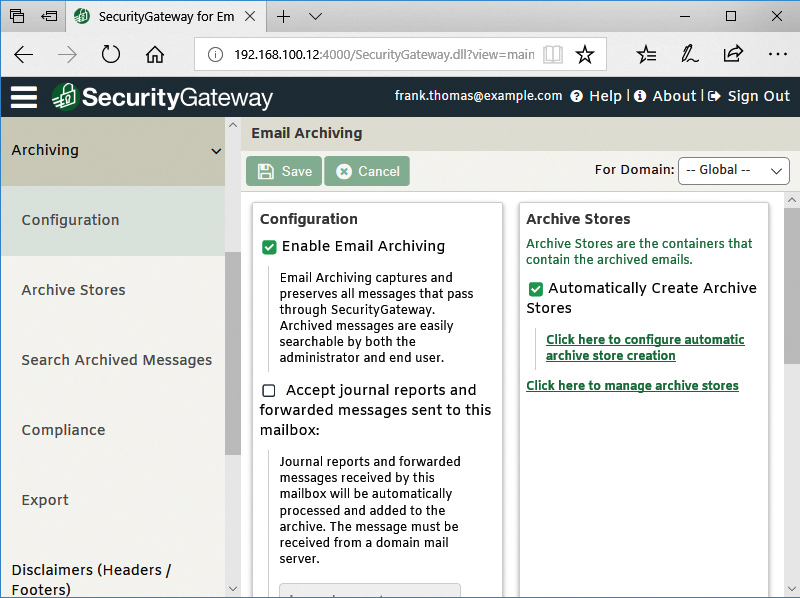 A more comprehensive list of all new features and enhancements can be viewed in the SecurityGateway for Email Servers Release Notes. 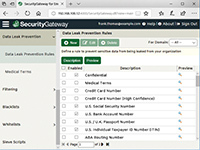 Over 60 new data leak prevention rules have been added for protection against transmission of a wider variety of sensitive data such as passport numbers, driver's license numbers, bank account numbers, and much more. 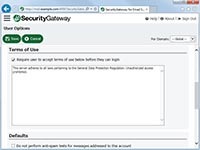 A 64-bit version of Security Gateway is available (for 64-bit operating systems). The 64-bit version can handle a higher volume of active connections for improved performance. 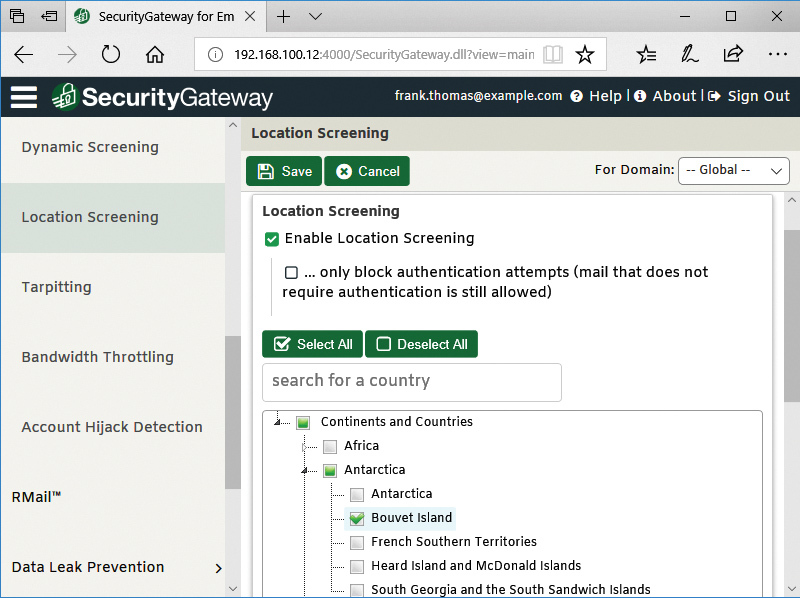 SecurityGateway's new Location Screening feature allows administrators to block incoming SMTP and remote administration connections from unauthorized countries. Exceptions can be made for connections from whitelisted IP addresses. In order to assist with compliance to laws such as the General Data Protection Regulation in the EU, administrators can now add a Terms of Service statement which must be accepted by users by checking a box each time they login.